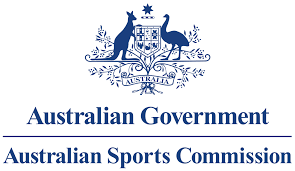 The costs of being an elite Australian athlete are constantly increasing with the ongoing evolution of sports science, sports medicine and the need to compete internationally on a consistent basis in order to get the experience required to be competitive at major events. Australia’s geographical position means that it costs up to 106% more for an Australian athlete to compete in the world’s best competitions compared to our International rivals. dAIS is a program designed to provide funding to Australia’s best current and emerging athletes, giving them an opportunity to focus on their training and performance, providing them with the best opportunity to achieve podium level results for Australia at Olympic, Paralympic and Commonwealth Games. The funds available however, are not enough to compete with our international competitors and even Australia’s best athletes are struggling to survive on funds available. In order for Australia to be able to continue our proud nation’s history as a great sporting nation, punching above our weight on the international stage we need your support. Donate now and give our current and next generation of podium potential athletes the best chance to do Australia proud by providing them with the resources needed to achieve their potential.